Spoilers ahead for Sunday night’s episode of The Walking Dead. 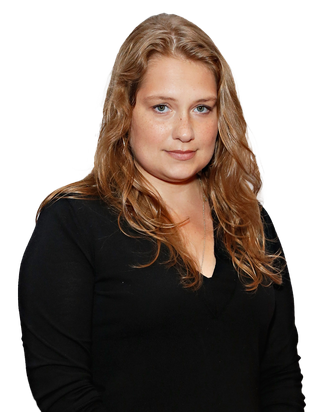 Merritt Wever’s time on The Walking Dead has come to an end. On Sunday night’s episode, Dr. Denise Cloyd gathers her bearings to go on a supply run with Rosita and Daryl. They successfully raided an apothecary, she got a soda for her girlfriend, Tara, and she killed a walker. (She was trying to be brave!) Of course, such a breakthrough could only mean an ironic death, and moments later, Dr. Denise had an arrow coming out of her eye. Vulture spoke with the Emmy-winning actress about shooting her death scene, how the zombies looked so real they actually scared her, and why she’s trying not to get too attached to roles in her post–Nurse Jackie career. Oy vey. I really lucked out with that one, didn’t I? No, I think the charming part was you just did what you were feeling. I’m really lucky that I did what I was feeling and everyone was still okay with it. Sunday night is a big moment for your character. Did you know ahead of time that that was going to happen? I did. I didn’t know how it was going to happen, but I knew going into the job that I was only going to be there for this season, and I assumed that meant that I would die, but I didn’t know how. I guess I had it in the back of my mind that it would be a zombie death. Are you disappointed that you didn’t get a zombie death? I would have gone either way, but in a practical sense, I thought this was probably going to be a lot easier to do. I know what it’s like to shoot something over and over again and what screaming does to the voice, so I’m very glad it all worked out in my mind, this awful death. And it was relatively painless for me. I had been on set when the character Jessie was killed and that was a late night, shooting it over and over, and she was wonderful, but it was a beast, lots of extras, that really crazy episode where the kid dies, and oy, they hang entrails on their body to blend in. This was pretty clean. I didn’t have a lot of blood to wash off at the end of the day. What were the mechanics of shooting that scene, with the arrow? They had previously fitted me for a prosthetic that fit over one eye, the eye that the arrow goes through. We did the dialogue and then at the very end I went and would get that put on, and my real eye would be closed underneath the piece. I remember having some trouble with equilibrium. I would come back in and do the end of the dialogue again and they would tell me when I was hit, and you just play along and choreograph falling into Daryl. They do so many more elaborate deaths there that I think this is very small potatoes for them, even if it was a big deal for me. They can bang that stuff out really quickly. I’m still impressed by how it looked generally. Greg Nicotero in general likes to do practical effects. The zombies actually, honest to goodness, scared me when I was around them. They look really good. It’s really fucked up. Sometimes I’d forget one was right next to me and I’d look over and I’d startle. On camera, too. I’m really hoping they didn’t do one of those blooper reels where they like to embarrass actors showing them acting dumb. That’s perfect for your character, too, right? You’ve often played characters that have pluck, but are green. 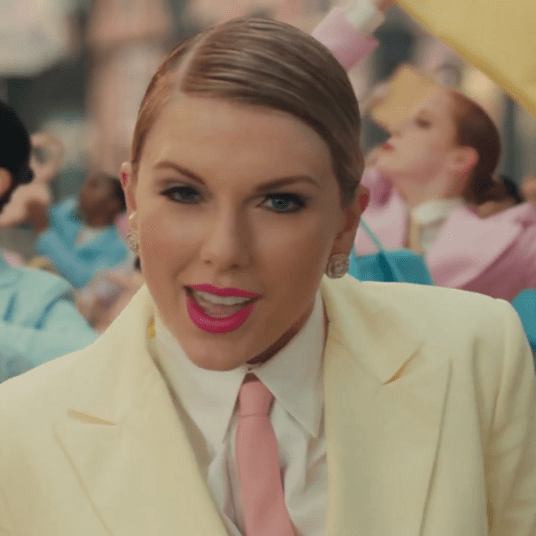 Is there something about that kind of role that attracted you? Yeah, that’s a good point. I never thought about it. I remember always feeling lucky with Zoey on Nurse Jackie that … she was new at the very beginning. So that gave her everywhere to go. I guess I see the similarities here, too, but I think Zoey was very enthusiastic and Denise was incredibly reluctant and hesitant and fearful and did not want to have to do the things that she had to do in her new role in Alexandria. Even committing to a relationship with Tara and going out on a run — I think she was trying to stretch herself and do what she had to do to grow, and it just didn’t work out. There’s a cruel irony in the fact that your character is on her way to overcoming her fears, kills a zombie, and gets killed at that moment of her breakthrough. Yeah, she finally earns her stripes. She was champing at the bit for the opportunity, and she gets a soda for Tara, and down she goes. They know what they’re doing on that show. Where would you like to have seen her go afterward if she had lived? I would’ve loved for her to finally feel strong and brave and courageous. I think she’s probably been a very lonely person for a long time in Alexandria, and before Alexandria, too. I think she wanted to be a doctor and the panic attacks kept her from staying in med school. In the beginning of the season she says that mostly she’s just been reading books at Alexandria so I think at this point she’s thirsty for a community and camaraderie and support. That’s part of what she was looking for when she went out with Daryl and Rosita, asking specifically to go with her. What would she have finished saying to them? Part of what she wanted out of this trip was to build relationships with them. She was angry. She wanted to keep trying. She was being put on the back-burner, even if it was rightfully so. I think she wanted to be a part of things finally. Did you keep any souvenirs? I didn’t. I took a picture of myself with the bloody arrow coming out of my eye. I’m not sure if I was supposed to do that. I certainly didn’t tell anyone. I’m not sure if I should be admitting that. I didn’t show it to anybody. As long as you don’t Instagram or tweet it, it’s like it never even happened. I don’t even have those accounts. I’m like an old lady. Is this your first death scene? I did a movie a long time ago called Series 7: The Contenders; that was really great and I think I get beaten to death by a man with his cane. What were your feelings when you were reading the script? This was not my first job after Nurse Jackie but one of the first jobs, so I probably was guarding against any sentimentality or getting attached, especially because it was so nice. Saying good-bye on Nurse Jackie was a really big deal, so I’m sure I was keeping myself guarded from ever having to feel anything like that again on another job, especially a death scene. I remember being grateful to the writers for giving me lovely stuff to do, especially in a cast that big with so many really juicy storylines and so many characters that I know fans care about and so many actors that are so good at what they do. I really do think this show is challenging. It’s always nice to be given any time because they have a very deep bench. I was grateful.